- We love teaching Excel! Cleaning & formatting messing imported data. You'll need Excel 2016 installed on your laptop. The standard installation of Excel 2016 or the Microsoft Office 365 version is fine. After your course you will have access to a complete video version for 12 months (worth $202 NZD). Covering everything from your training so you can brush up your skills easily. Our Excel Level 2 course is designed for people who have completed the Excel Essentials course or who already have a reasonable understanding of the program. Are you ready to find out the more advanced features and all the time saving tricks to help your work flow? You'll learn how to clean ugly data, work with advanced macros, sorting, advanced formatting and much more. Please see the outline tab for more information. This course is aimed at people who already use Microsoft Excel on a regular basis for typical tasks or who have already completed the 1 day Excel Essentials course. This ‘Level 2’ class will take good/intermediate users of the software to a more advanced level. 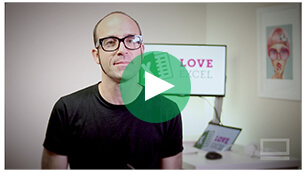 Join the level 2 course and learn more of the amazing potential of Excel! You must have completed our Excel Essentials course or have similar working knowledge of Microsoft Excel. You'll need Excel 2016 installed on your laptop. The standard installation of Excel 2016 or the Microsoft 365 version is fine. Using advanced functions to process your spreadsheets. The Excel Combo brings together both the Excel Essential and the Excel Level 2 courses above. In this 2 day course you will gain a full understanding of what Excel is and how it is used. You can do the 2 days together our you can break them up and do the Essentials first and come back and do the Level 2 course at a later date (up to 12 months). Please let us know if you would like to do this when you’ve made your booking. This course is designed for people who have little or no previous experience in Microsoft Excel. You will start right at the beginning and cover all the basics working through to a more advanced level on day 2. Only basic computing skills are necessary - if you can send emails and surf the internet then you’ve found the right training. The Excel Combo course is a combination of both the Excel essentials & Excel Level2 courses. Please see their outlines for more details. Microsoft Office is a great set of programs that solve a lot of problems. They also share a lot of tools and techniques, even being capable of sharing data and functions from one program inside another. With all that sharing going on, we figured we’d join in the fun by combining several of our Microsoft Essentials training courses and give you a discount too! We have excellent interactive Microsoft Office training in Access, Word, Powerpoint, Excel and Project. The courses are not just easy to understand but deeply fundamental to some of the world’s most popular office software. We can show you how to synergise the features and make them all work together, making you more efficient. And valuable. Your instructor will show you how, and when, to use each application, and we’re not just experts on the software – we’re brilliant at making it all understandable. These courses are all designed to give you a great foundation to build a lifetime of skills on. We start from the very beginning, so if you have zero knowledge, or a little experience, this is the training you’ve been searching for. And you can save $370! We offer the combo courses in a 3-day block, the most common being Word, Excel & PowerPoint. But, if you want a different combination, or want to spread the days out, just ask. We will customise your training at no extra charge. Your Microsoft Essentials courses come with New Zealand’s most amazing aftercare support. This includes a free redo of your course within 12 months. You get free email support from your trainer too. If that wasn’t enough you also get videos of every topic covered in your course. Learn all the tools you have available with our exclusive Microsoft Office Essentials Combo course. Call or email and book now. You don’t need any previous experience with Microsoft Office, or expert computer skills. The Microsoft Combo course is a combination of any 3, one day Microsoft Essentials courses available at Bring Your Own Laptop. Please see their outlines for more details. Bring Your Own Laptop teaches a lot of very high end software to companies large or small around the world. We often find the most need is for Microsoft Office products like Excel to be demystified for the average user. Especially if you’ve been sent a spreadsheet to work with and you have no idea what to do beyond opening it to print. Microsoft Excel is the industry standard for spreadsheets, pretty much regardless of the industry. It can appear intimidating, but Bring Your Own Laptop has long and successful history of making industry standard programs understandable for all of us. From our unique hands on classes where you benefit from sharing ideas and asking the questions everyone in the room is thinking about. Because of the instructor’s dedication to giving you the answers as you need them, not three chapters later. And there’s the foundation you build from creating projects and documents step by step to real world standards, not textbook suggestions. We back the training with 12 free months of email support from your instructor. If you’ve forgotten something, or you want help pushing further ahead, we are there for you. Because our training is hands on, we don’t make you take copious notes. Instead, we provide you with our exclusive training videos that cover every aspect of your Excel training. You can watch them any time to cover anything you didn’t remember or didn’t understand completely. And if you feel like you didn’t understand enough about Excel the first time, we completely back you with the option to retake the Microsoft Excel Essentials course any time within one year, absolutely free of charge. Again, we don’t believe our support ends on the day of your course. We believe all the support is vital to giving you the confidence and the resources to excel. That was a pun. But we are serious about the quality of the support we give you. Your hands-on training will be based around creating the most common applications of Excel – invoices and contact lists are at the top of the agenda. You’ll learn how to import and sync data and content from other programs such as Word. You’ll see how to make changes without crashing the document or blowing tables off the page. You know, those moments when “it’s not doing what I wanted it too and I don’t know why!” Those moments are why we created the course for you. You’ll have a chance to create formulas and have them do the work for you instead of adding every column by hand. The GST calculation form you’ll be building is a great example of that. And the look on your face when you realise that not only can Excel do the calculating for you, but you know how to make it work…well that’s what we get paid for. It’s also how we know we’re getting it right for you. You will get to create things that can be exported and work with other programs, specifically Microsoft Word. In fact, we know how all the Microsoft programs work together and can bundle Essentials training for a variety of titles, including PowerPoint, Access and Project. If you didn’t know they talk to each other, or don’t know what they are in the first place, just ask. We can help you learn how to make the most of all of them with a Microsoft Office Combo. Whatever your needs, it’s important that you know we make no assumptions about what you know. This course only requires basic computer skills (if you can make Facebook work, or email for example, this is the course for you). We start at the very beginning which is also useful for anyone who is self-taught and recognises they might be missing a few things. Sometimes you don’t know what you don’t know, but our training will give you a complete foundation that will be the perfect place to build years of using Excel to its full potential. And yours. Now is the time for you to call or email and book the Excel training that’s not only the best start, but you’ll enjoy it too!